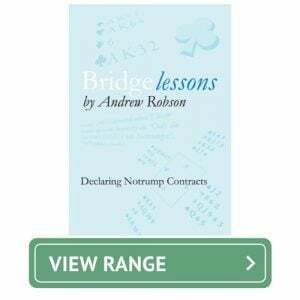 We stock an extensive range of books about the Contract Bridge. So whether you’re a seasoned player or new to the game, we are sure to have something of interest for you.Our books section also includes Bridge themed diaries and calendars, with new helpful hints and tips each day. If you’re after something a little more involved – why not check out our selection of “Bridge Courses in a Box”? These have been specially created by professional Bridge card game player and resident Bridge columnist at the Times; Andrew Robson. Meaning that your Bridge game will go from strength-to-strength.